Enjoy magnificent scenery and unique experiences on an Alaska 2019 cruise through the beautiful Inside Passage with NG Venture from Lindblad-National Geographic Expedition. Alaska is America’s last great true frontier, an unspoiled wilderness of glimmering glaciers, abundant forests, towering mountains, exotic wildlife, and waterfront communities. Almost every Lindblad-National Geographic Expedition 2019 cruise to Alaska includes a visit to a tidewater glacier, glaciers which flow into the ocean, often with powerful calving. The most popular destinations are Glacier Bay, Hubbard Glacier, Strait of Georgia, Tracy Arm. 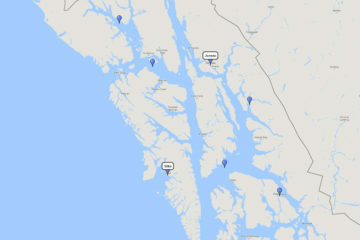 The cruises nearly all call at Ketchikan, Skagway or Juneau, with some rarer alternatives for Haines, Hoonah and Sitka. Or travel further north to the Kenai Peninsula and nearby Anchorage, a perfect jumping off point for cruisetours to Denali, Fairbanks and Canada’s Yukon. Maybe you’ll see a bear!